In cultures and traditions around the world, it is understood that the role of ancestors is to guide and help us here on earth. But if our deceased relative has unresolved traumas—got cut off from family due to war, mental illness, suicide, or other tragedies—then a blockage in the energetic field may result that disturbs the family’s health and prevents an ancestor’s ability to benefit us. The past doesn’t just disappear. Because life is always trying to heal and complete itself, the trauma residue of our dead relatives can be felt by a family’s most sensitive offspring. It is in our power to help transform our family’s wounds into wisdom, tragedies into blessings. Learn about this new/ancient form of intergenerational trauma integration, which employs ceremonial family constellations to open channels for our families’ health, peace, and restoration. 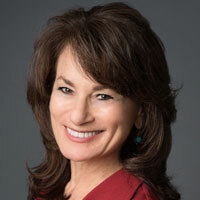 Rabbi Tirzah Firestone, PhD, is an author, Jungian Psychotherapist, and Rabbi Emerita of Congregation Nevei Kodesh in Boulder. Her book, Wounds Into Wisdom: Healing Intergenerational Jewish Trauma will be on bookshelves in April, 2019.